Perfect Corp. and Macy’s are excited to introduce the first-of-its-kind U.S. installation of a Makeup virtual shopping experience at the world-famous Macy’s flagship store at Herald Square in New York City beginning June 7th, 2017. The launch will include 250 makeup skus from Macy’s Impulse Beauty department which includes top millennial brands such as Benefit, NYX, Tarte, Urban Decay and Too Faced. A selection of Impulse Beauty products are coded into the award-winning YouCam Makeup app for instant, true-to-life makeup try-ons. 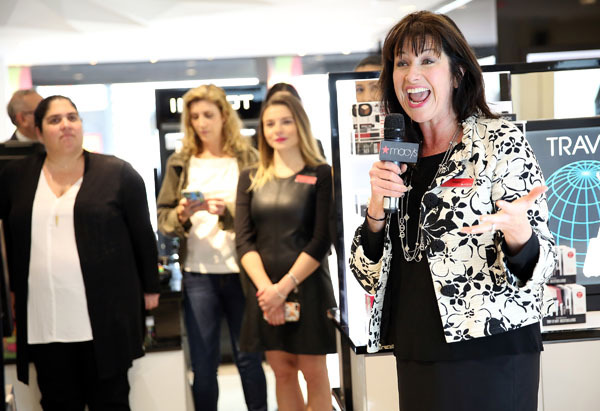 This unique in-store experience will allow beauty lovers to test a variety of products in minutes without the need for the traditional messy makeup trials. Not in the New York area? These exclusive Macy’s beauty offerings will be available for in-app try-ons and purchase through the free YouCam Makeup app. 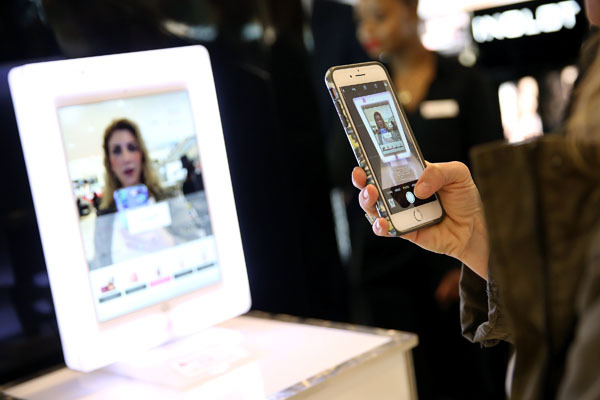 The integration of YouCam’s world leading augmented reality technology at Macy’s iconic Herald Square location will help further elevate the in-store beauty shopping experience with an innovative and interactive way for customers to discover and try on products. Customers are invited to virtually try on a wide selection of products from top beauty brands in seconds making exploring new brands and products easier than ever. The true-to-life augmented reality makeup effects create a personalized shopping experience that helps consumers make confident purchase decisions through the use of virtual technology. “Innovation is part of our DNA at Macy’s and we are excited to launch this collaboration with YouCam Makeup. With the integration of Macy’s Impulse Beauty cosmetics on the mobile app and via a special installation at our flagship location, we are giving customers the unique opportunity to discover, access and virtually try on products on the go or in-store, elevating the Beauty shopping experience,” said Muriel Gonzalez, Macy’s EVP & General Merchandise Manager, Cosmetics & Fragrances. YouCam invites beauty lovers around the world to stop by Macy’s Herald Square in New York City beginning June 7th, 2017 and enjoy an instore virtual beauty experience of their own. A selection of Macy’s Impulse Beauty offerings will also be available in the free YouCam Makeup app download (https://goo.gl/nNjuvZ) allowing users to browse, virtually try on, and purchase Macy’s beauty offerings directly from their mobile devices. Macy’s, the largest retail brand of Macy’s, Inc., delivers fashion and affordable luxury to customers at approximately 670 locations in 45 states, the District of Columbia, Puerto Rico and Guam, as well as to customers in the U.S. and more than 100 international destinations through its leading online store at macys.com. Via its stores, e-commerce site, mobile and social platforms, Macy’s offers distinctive assortments including the most desired family of exclusive and fashion brands for him, her and home. Macy’s is known for such epic events as Macy’s 4th of July Fireworks® and the Macy’s Thanksgiving Day Parade®, as well as spectacular fashion shows, culinary events, flower shows and celebrity appearances. Macy’s flagship stores — including Herald Square in New York City, Union Square in San Francisco, State Street in Chicago, and Dadeland in Miami and South Coast Plaza in southern California — are known internationally and are leading destinations for visitors. Building on a more than 150-year tradition, and with the collective support of customers and employees, Macy’s helps strengthen communities by supporting local and national charities giving more than $54 million each year to help make a difference in the lives of our customers.